Why we put candles on a birthday cake. My birthday is coming up in a few days. Yay, me! Reading about a day in Lin-Manuel Miranda’s life makes me tired. But a delightful kind of tired.His energy is boundless, and kind of staggering. 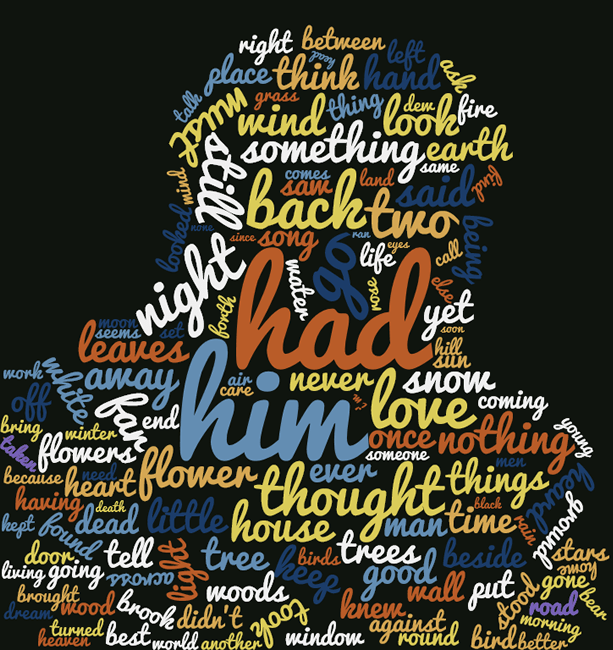 Neat idea, lovely presentation: Poetic WordClouds from MyPoeticSide. Data analysis of poetry, beautifully visualized. This is exactly in my sweet spot. Here’s what Robert Frost’s most common words look like.